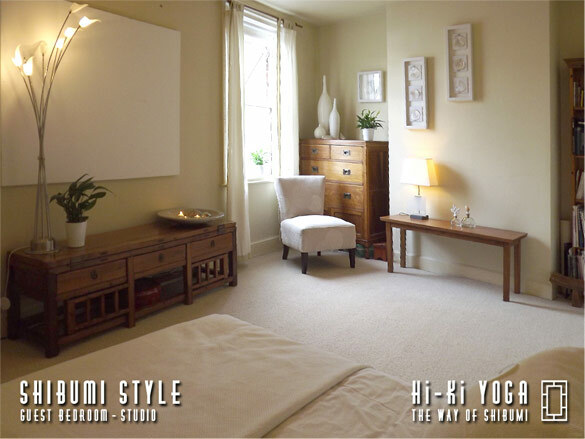 Be inspired by Hi-Ki Yoga – The Way of Shibumi, take your personal practise to the next level and invigorate your professional materials with photography for yoga teachers and websites for yoga teachers. 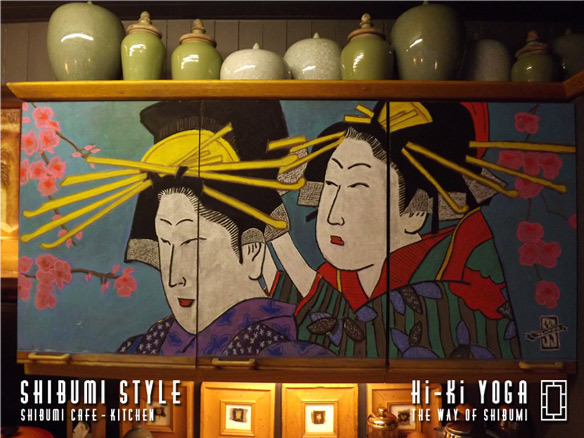 Shibumi Studios, Garden, Café & Residence comprise a “very special environment to absorb and enjoy the experience of yoga”, we are often told. For us it is quite simply our home. However, we do so enjoy sharing what we have created that we have decided to make our guest yoga-studio bedroom available for like-minded yogis and friends. We have found this puts in place all the elements for a relaxed teaching environment and a professional space to capture it. With this in mind we are offering affordable, great-value, short stay residencies that give you the unpressured time to work with world-class yogini Rosalind Widdowson and Swami Tantramurti Saraswati to uprate your postural asana, pranayama and meditational offerings, benefit from wise and caring counsel, and to photograph and record the results for the benefit of your students, your advertising output and your website presence. For an all-inclusive price of £240 per day you can have four hours of one-to-one tutorials and/or studio time, meals and private room. The atmosphere is relaxed and creative and you can work at your own pace, taking notes, recording and photographing original sequences and meditations, all optionally-styled in our extensive range of yoga outfits. If you are in residence on a Tuesday evening or Friday morning you may wish to attend our public classes or, on Wednesday morning’s Shibumi Café, session enjoy a satsang with our wise and friendly on-line guru, Keith ap Owen of the Sunbury Yoga Society (Guru Sattvananda). We feel it is important that you enjoy a full, unhurried day of yoga practise and exposition so you are welcome to enjoy our hospitality the night before your day and the night of your day, leaving the following morning. Additional hours are @ £35 per hour. Alternatively, if you wish to come with friends or a student group, you might elect to stay at our preferred local yoga class venue, the Gainsborough House Hotel, Bewdley Hill, Kidderminster, and you can either attend our nearby studio (up to eight) or we will hire a room at the hotel to tutor your group. Non-residential rates are @ £60 per hour.